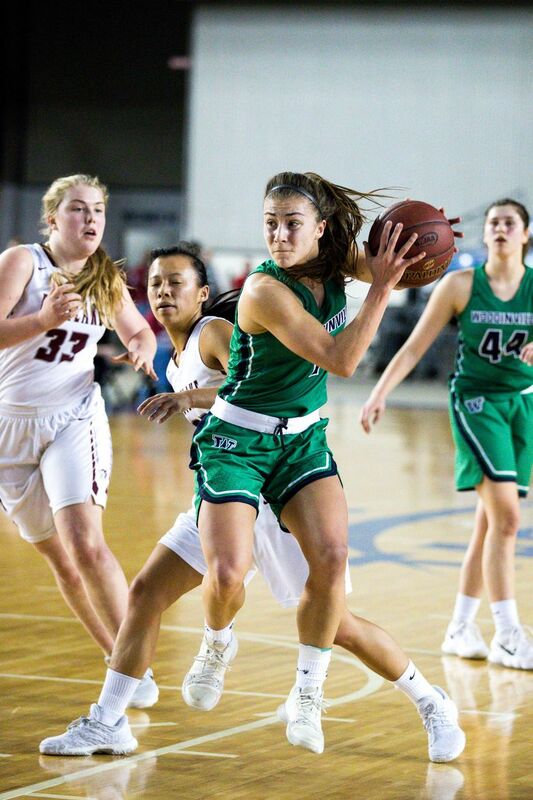 Nikki Zuback’s steal and go-ahead layup propelled No. 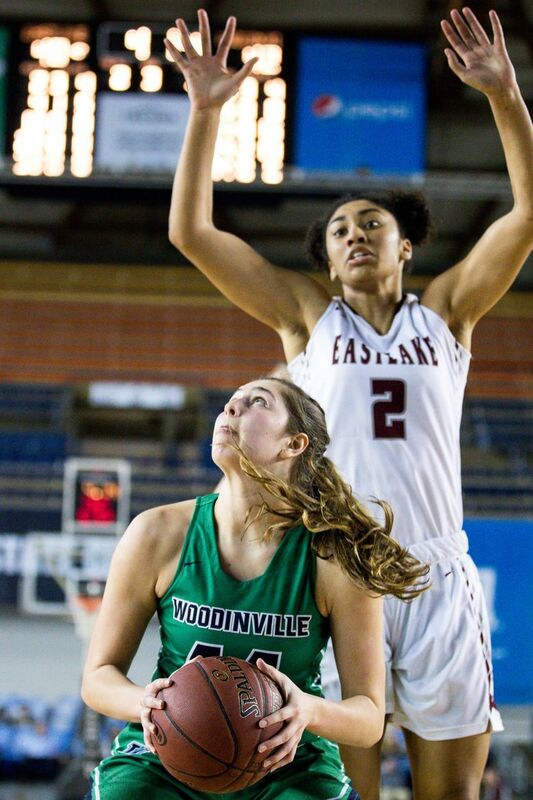 5 Woodinville over KingCo 4A rival Eastlake 80-78 in the Class 4A state girls semifinals. The Falcons play Central Valley for the title. Those are the kind of reactions a team that’s won in overtime for the third game in a row tends to have. 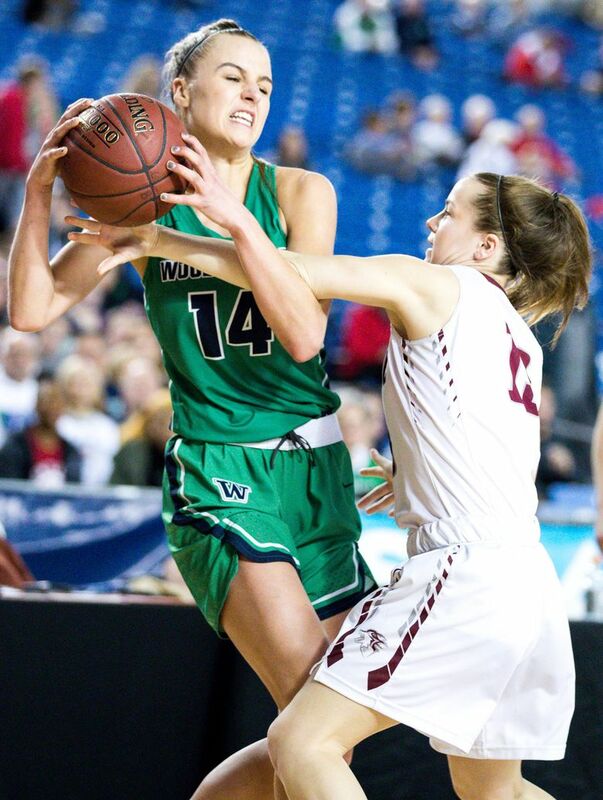 Nikki Zaback’s steal and go-ahead layup propelled No. 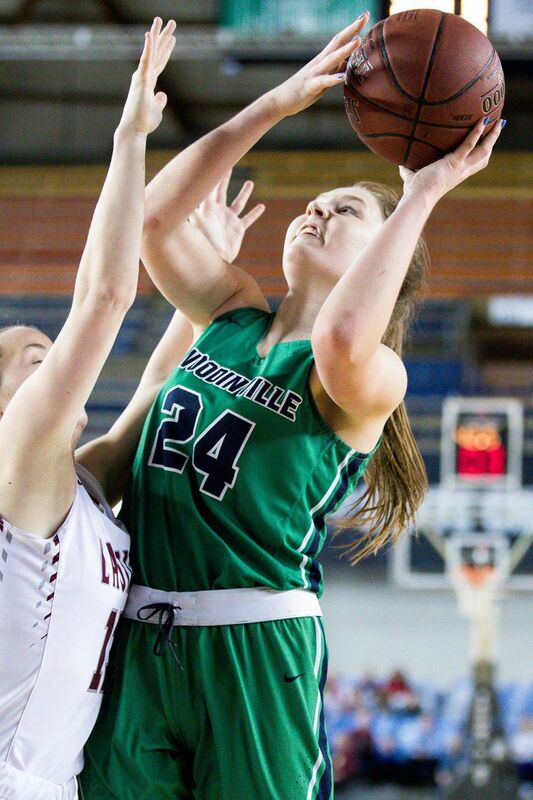 5 Woodinville (22-4) over KingCo 4A rival Eastlake (23-2) 80-78 in the Class 4A state girls tournament semifinals on Friday at the Tacoma Dome. 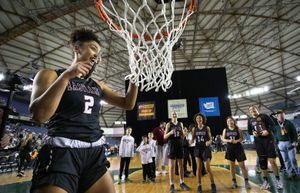 The Falcons beat Lewis and Clark 58-56 in overtime in their first-round game, then they downed defending state-champ Kentridge 55-54 on Madison Dubois’ game-winning three-pointer in the quarterfinals. 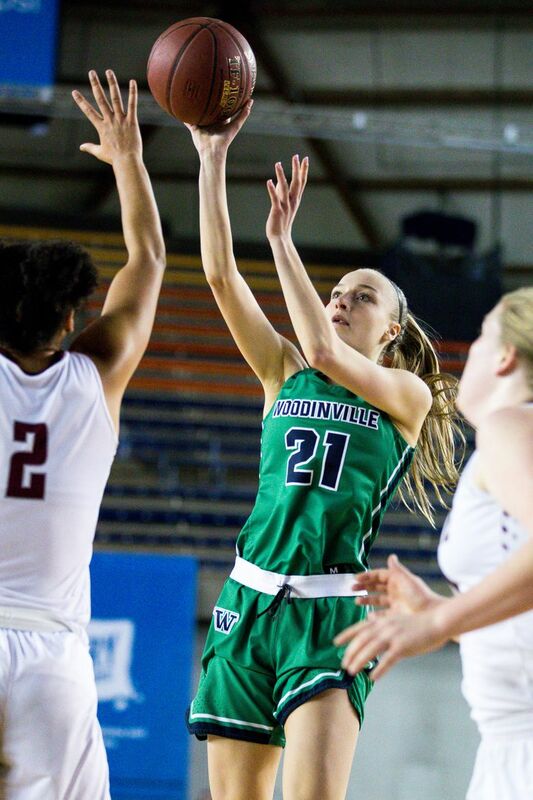 Woodinville led 68-59 with 2:07 left after a layup from Dubois, but Eastlake finished the game on a 12-3 run, with Burton sinking the tying free throws with 18 seconds left. Regan Schenk had a look at the buzzer in regulation but it wasn’t close. 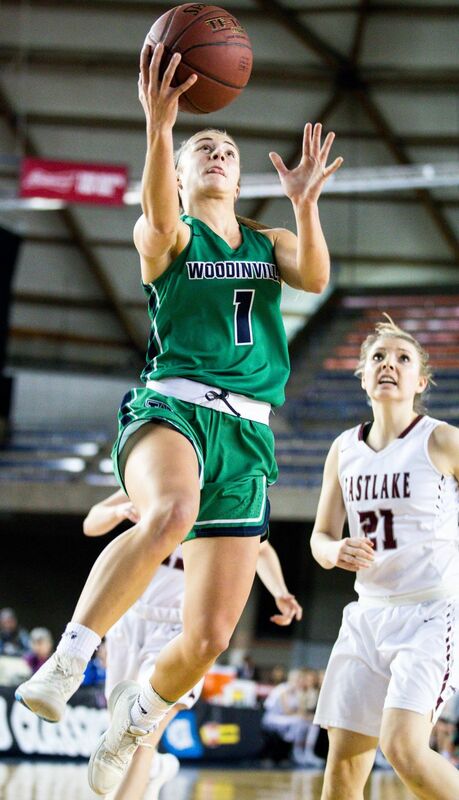 Woodinville led by four with 2:22 remaining in overtime after a layup from Zaback. 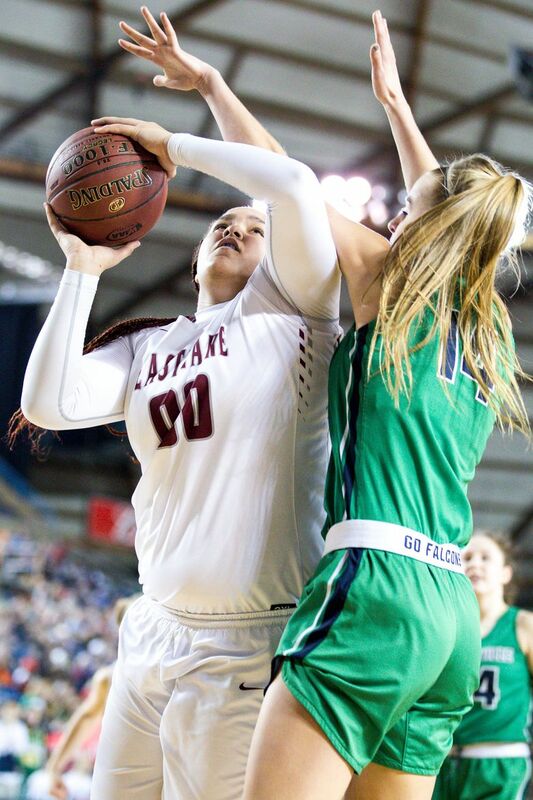 Eastlake responded with a three-pointer from Callie Lind and two free throws from Keeli Burton with 1:19 remaining to put the Wolves up one. 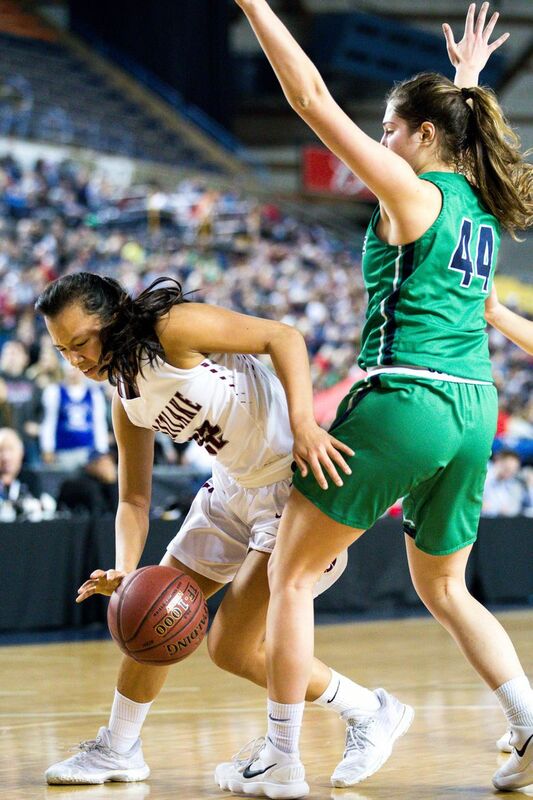 Mia Hughes’ layup with 50 seconds left went all the way into the net before tumbling out, but Hughes deflected a pass from Burton and Zaback rushed down the floor and laid it in to give the Falcons the lead. Hughes, a freshman, led the Falcons with 31 points. Dubois chipped in 22 and was 4 of 6 from beyond the arc. 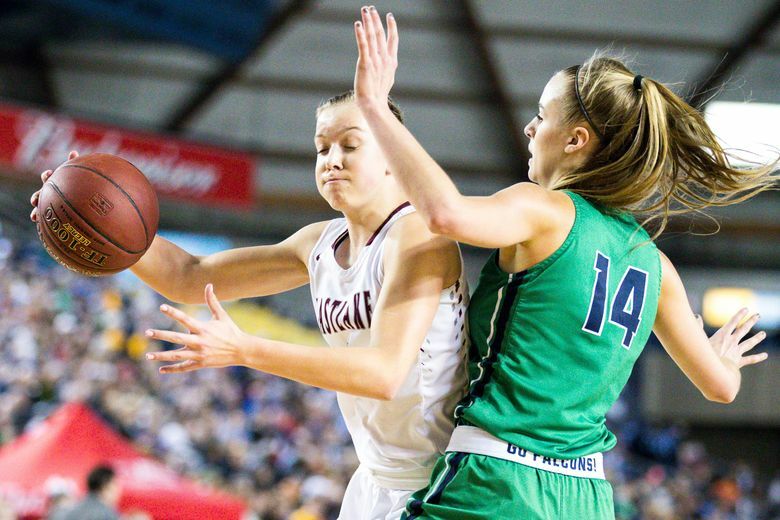 Burton and Gina Marxen finished with double-doubles for Eastlake. 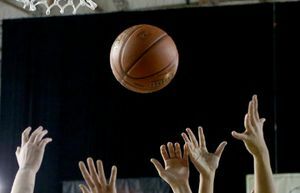 Burton finished with 30 points and 21 rebounds and Marxen posted 14 points and 11 assists. 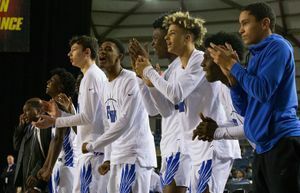 The Falcons advance to play top-seeded Central Valley for the state championship at 5 p.m. on Saturday. 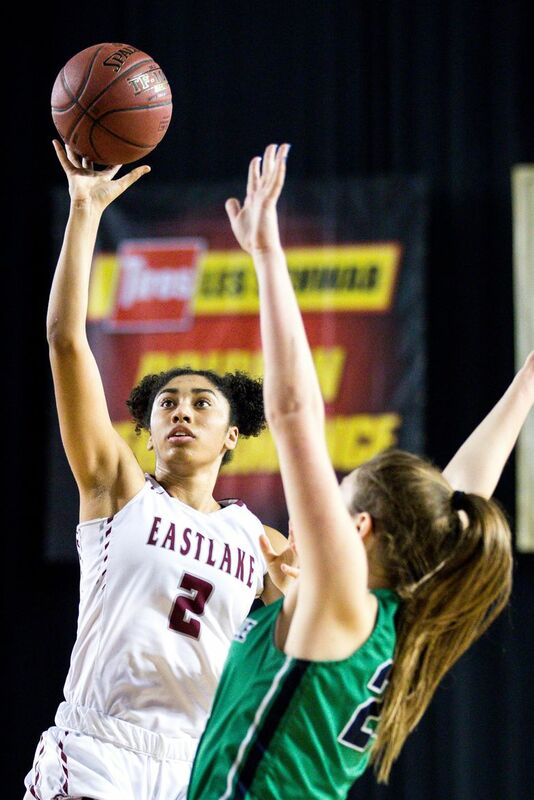 Eastlake plays Moses Lake at 11:15 a.m. in the third/fifth-place game. 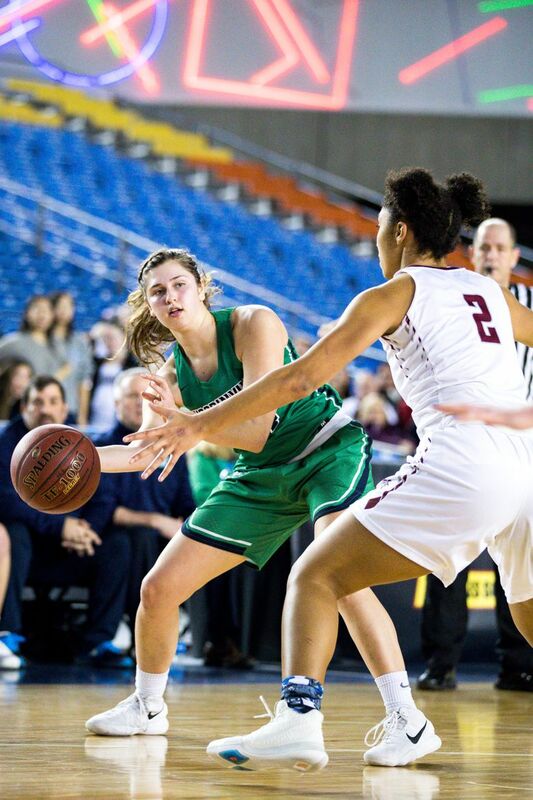 Central Valley (26-0) limited Moses Lake to just 12 points in the second half of its 51-33 semifinal win over Moses Lake (24-1), handing the Chiefs their first loss. 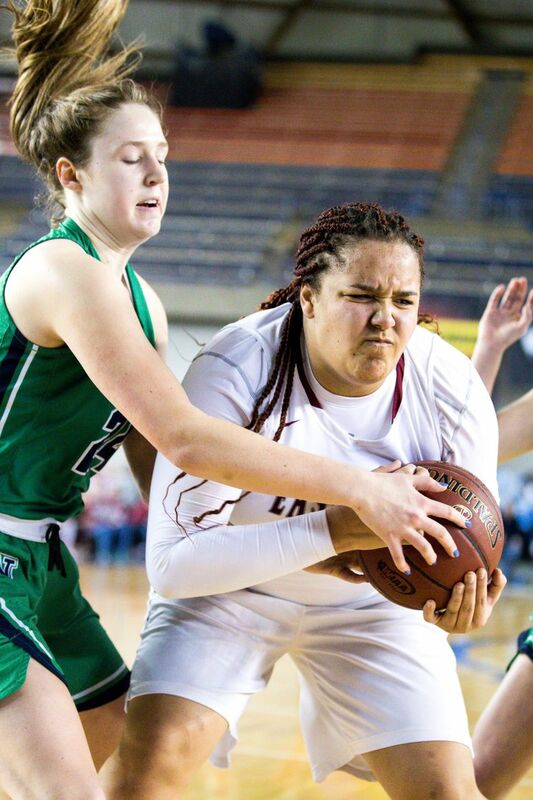 Lacie Hull led the Bears with 13. Bullock acknowledges it will be a tough 32 minutes against the Bears’ vaunted defense. But what about if they play an extra four minutes?